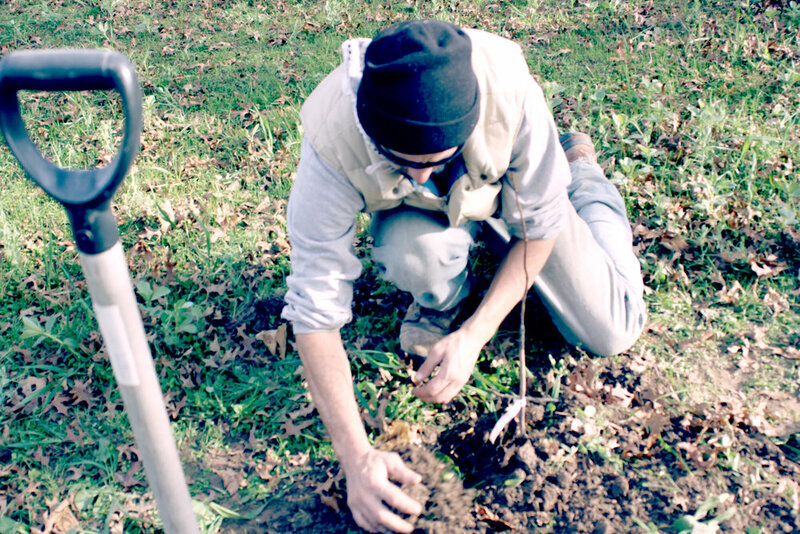 In the spring of 2011 Johann convinced me that a 10 day forest gardening intensive with Dave Jacke could potentially provide answers for how to approach the water logged plot of degraded farm land we found ourselves on. The ideas and concepts presented during that course laid the groundwork, and provided a foundation for what would become our 10 acre forest garden farm. In the years that followed ideas were tested, theories put into practice, and new observations generated. Dave Jacke became a friend and mentor to us, always willing to ask the tough questions, and provide encouragement and love. The ideas and exchanges reverberated and multiplied into the future. 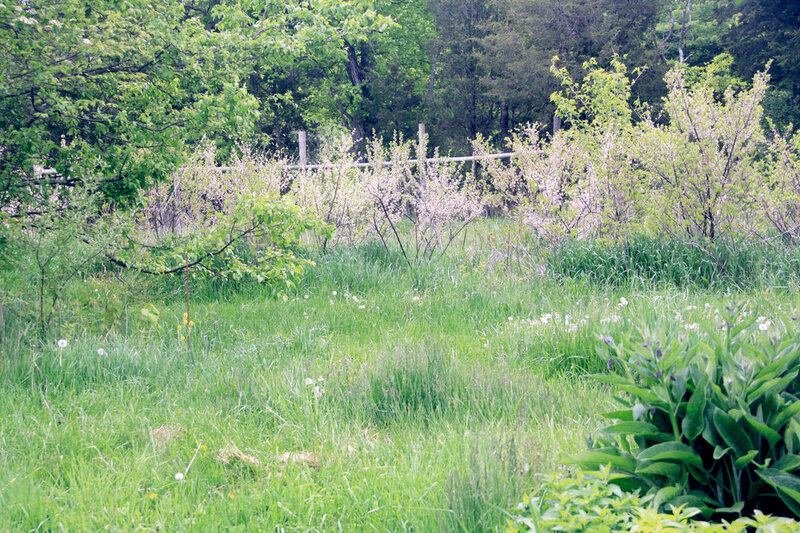 And when Dave visited our small farm last spring to co-teach a weekend workshop called "Designing Perennial Polycultures," the garden we had created was a humble reflection, propelled by curiosity, and rooted in love. Finally sharing some photos from that weekend. Sincere gratitude and thanks to our dear friend Dave. Many thanks to all the course participants that shared their spirit, focus, and energy with us. And a big thank you to our apprentice Jamil Nazy for helping to capture many of these moments. The course kicked off with an incredible talk given by Dave at Duke Farms that provided a rousing framework for the rest of the weekend at Fields Without Fences. On Saturday morning we gathered in a circle to reflect on the ideas set forth Friday evening, get to know one another, and dive into our exploration of perennial polycultures. Our first exercise was to observe the edges present within each transition across the landscape. The edges are complex, multitudinous, and largely based on perspective. This exploration set the framework to understand observation and interpretation. There are many angles through which we can examine nature. Standing in a woodland transition area on the farm, I told a story about the polyculture design of a forest. Every action and decision generates a particular design. When a squirrel preferences a particular fruit, its seed is spread to grow elsewhere. When forests are clear cut, the action opens up environments for new emergent species to proliferate. All of the polycultures that surround us are the outcome of a confluence of decisions and actions that ultimately culminates in the composition of the landscape at any given moment. And yet, there seems to be a reliable rhythm to the sequences of events that unfold in natural succession. Course participants self organized into a model of succession based on emergent ecosystems detailed on cards. Some cards appeared to be very linear in their unfolding, yet others were more nuanced, or not entirely clear. A lively debate emerged, guided by Dave, as we tried to understand the mechanisms of natural succession and disturbance. Succession is at work across the farm. There is a cumulative succession that unfolds across years as bare soil becomes a forest. Then there is the seasonal succession that unfolds as plants come into establishment, replacing one another, across the spectrum of every season. 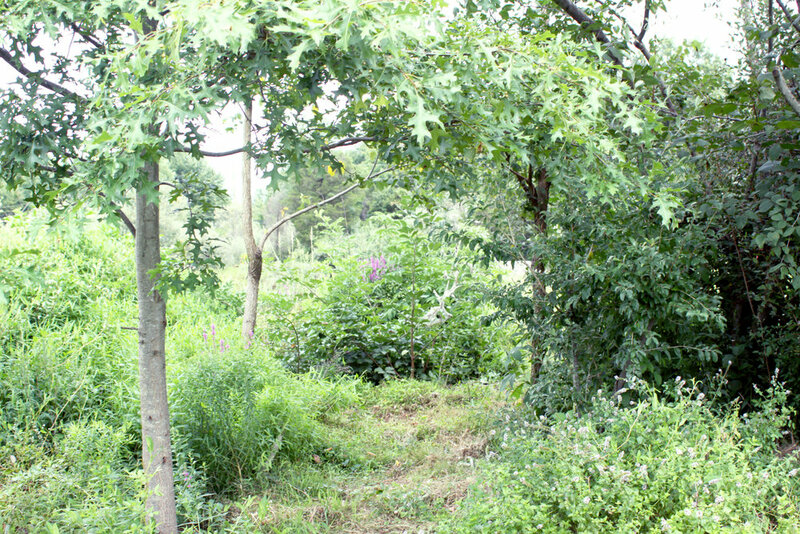 Here we explored one of the less-mature areas of the farm currently under establishment. Course participants began to derive observations and assessments in a more mature area of the farm. There is a complex set of interactions unfolding between polyculture plantings. A zoomed in approach to each area presents a new opportunity to assess the perceived successes and failures of any given combination of plants. Groups split off to make formalized assessments by determining the role and function of each plant within a polyculture community. Each individual element contributes to the totality of the whole. Johann led us on a walk across the farm where we explored polyculture design and practical application on the ground. Thought provoking questions from Dave and the group enabled us to explore the complexities and emergent properties within the system. After a long and enjoyable weekend of theory, explanation, design, and observation, the group coalesced for a photo. Each individual contributed to what everyone determined to be a consciousness shifting weekend. The complexities of the garden reflected within us our own desires to live, grow, and share in the experience with one another. We were in the midst of an atypically prolonged spring drought at the time of the workshop. We hadn't irrigated the farm since August the previous year, and the plants were showing signs of stress. It had been threatening rain all weekend, and we were torn between welcoming the reprieve from drought, and hoping that weather would not disrupt our programming. As the last course participant parted, thunder cracked and the rains came. It rained nearly all night, and in the morning Johann, Dave, and I walked the gardens taking photos in the lingering midst. The plants came alive again, and the resiliency within the system became evident. We try to trust the garden, our interactions are pulsations of exchange rather than dictations. Each relationship is full of revelations and reverberations. Lindsay, Johann, and Dave, Fields Without Fences, May 2015.